Rehabilitation calls for ehealth innovation: are European startups and Hospitals ready? Elena Lopez, from eHealth Hub has chatted with Ricardo Llavona, member of the V eHealth Roadshow Committee, on how he sees the use of technology in Rehabilitation. 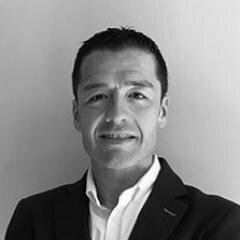 Ricardo is a rehabilitation doctor and healthcare advisor and manager in Biocrew Life Science, a network of investors linked to life sciences and technology. Here his valuable insights. Why do you think rehabilitation calls for eHealth innovation? The objectives of rehabilitation and its transversality make it one of the specialisations with the greatest demand for technology nowadays. Furthermore, the current expenditure in rehabilitation is one of the biggest in European healthcare which obviously calls for more efficient solutions and leaves a huge market yet to discover. How do you see the existing offer of solutions for rehabilitation? Is there something they need to improve? So far, there have been many attempts to improve rehabilitation assistance using new technologies. Some of them are outstanding and can immediately result in better quality care. However, the non-generalization of the use of these resources has multifactorial causes. One of the most important issues is to choose those solutions that provide value and motivate the change in the habits of health professionals, who are very accustomed to one-to-one assistance. As for your second question, rehabilitation solutions face essentially the same challenges than any other from ehealth: comply with regulation, prove clinical evidence… But what I’d like to highlight is that digital health is not about software but about patients. Entrepreneurs need to make developments based on patients and healthcare professionals experience. What about clinicians? Do you think they are ready for the digitalization of healthcare? What would you say to encourage those that remain sceptical about technology? There are clinicians who are certainly ready. Not only ready but also taking the lead to implement technology in their clinics and hospitals. These professionals understand the amazing possibilities that technology can provide. Often, the needs themselves bring the solutions and it is these leading professionals who can detect the increasingly important problems of health systems, especially in terms of accessibility and equity. However, they still find many barriers such as “the tradition”. Also, the high healthcare burden, the lack of transversality in healthcare processes and the absence of simple regulatory frameworks for the introduction of innovation sometimes make it difficult for these technologies to arrive. One the other hand, there are obviously some other clinicians that remain sceptical, as you say. Digital transformation is a matter of cultural transformation. As it is often said “culture eats strategy for breakfast”. What I would like to make clear to them is that technology is not dehumanizing healthcare, which is an extended belief. There will always be a mix of online and offline. The digitalization of healthcare will make possible to anticipate the problems a patient can experiment and allow the professionals to direct their actions much more. This will result in patient empowerment (they will feel connected to the doctor 24/7!) and also better health outcomes and time/cost savings. From your point of view, what is the key for startups and healthcare professionals to collaborate in this field? Open up and listen to each other. Do not be afraid of the changes that technology will bring. Thorough knowledge of the sector, carry out rigorous cost-effective studies, analyze the factors related to the usability of the devices by both users and customers and develop the value proposals thoroughly. Other solutions already in the market presented rigorous basic research studies on which their technology is based. In the frame of the SERMEF National Congress – a renowned Spanish event in physical medicine and rehabilitation that brings together leading decision makers and experts in the field – the V eHealth Roadshow took place on 17 May. Thanks to the partnership among eHelath HUB and SERMEF, eleven European SMEs pitched their solutions in front of a committee of experts in the field, including doctors and heads of the rehabilitation units in several Spanish hospitals. The companies had to prove not only the innovative high-end of their solutions but also the added-value for clinicians to use such technology compared to traditional methods. The aim of the eHealth Roadshow was to raise visibility of the presented solutions to access potential clients and procurement executives on the demand side.